They are offering ~540MB read and write speeds and are more secure. 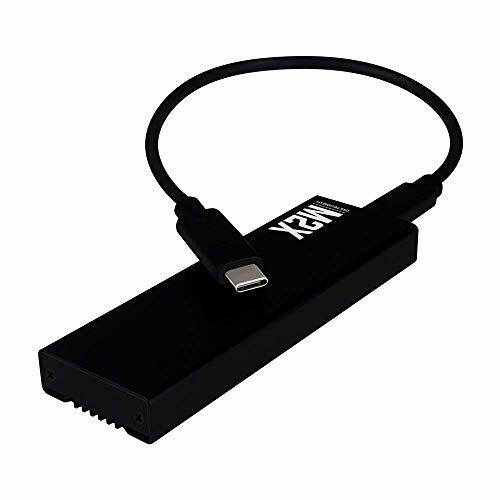 The price of the MyDigitalSSD M2X M.2 NVMe SSD Enclosure is about 40$, which is 10$ lower then the ACASIS M.2 NVME Enclosure and can have multiple formats supported also. The results are in the same area as with the ACASIS M.2 NVME Enclosure Review except that the MyDigitalSSD has a lower price and supports more formats. MyDigitalSSD M2X M.2 NVMe SSD Enclosure is an interesting option in case you want to have your Portable SSD done in-house. It has a decent price with multiple format options for SSD. Best Automatic Touchless Infrared Motion Sensor Trash Cans.